The best alternative of ShareX to record and edit your video easily. If you are looking for a reliable and efficient screen capture, productivity and file sharing tool, ShareX is an excellent tool to choose. As the name implies, ShareX got one major focus and that is to allow you to quickly and efficiently share images and screenshots with others through providing you the essential tools to be able to take instant screenshots and also to upload your photos to image host easily and conveniently. 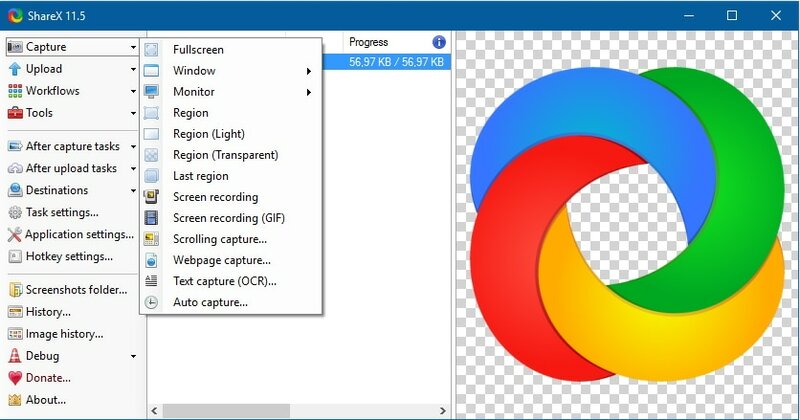 This exclusive program actually reside in your personal computer as background processes and can be operated with some easy hotkeys and if you require speed OR, you can use the dashboard in handling all the images you take. Multiple Capturing Modes. This does not only do full screen captures but also capture currently chosen window, free-drawn capture shapes ,one particular monitor in multi-monitor set up and more. Automated Capture-This feature allows users to take some screenshots on regular interval. This is a useful feature especially if you need time lapse on activities. Screen Recorder-If you are in need of reliable and functional screen-recorded videos is an ideal pick. Users can easily choose a spot of the screen and then have it recorded outputting video file or animated GIF. Other features-Other impressive features include multiple upload options and methods allowing users to upload screenshots recently taken and upload directly from clipboard, file or upload directly from the files right click menu on Windows Explorer and last but not the least feature are the multiple upload services where images are actually uploaded to Puush’s servers. ShareX guarantees that you will not be stuck to using one particular image host. ShareX is an exclusive open source program noted for the amazing things it can do. At its very core, this makes file sharing a lot easier. This got out of the box reliable support for numerous image hosts, sharing hosts and many more. Another good thing about ShareX is that it makes it easier for you to play with images. Users can also capture application/screens windows on varieties of shapes with no shortcut keys. This program internally utilizes Greenshot image editor in order to annotate screenshots and then obfuscate, blur or crop them in parts. Once you’re done with annotations, ShareX can upload your images automatically into your most favorite image host or to Google Drive. Everything tends to be configurable and this is also one of the best parts about ShareX. Snagit is proven to be a powerful screen capture tool offering more than standards built in options with majority versions of the Windows while at the same time, allowing better deal of editing and customization after you have snapped you exclusive images. This is a perfect tool for individuals who compile tutorials regularly or create software or website reviews. Snagit is easy to use and powerful screen capture software, but not free to use, cannot edit recorded video after recording. This is indeed one of the best alternatives to ShareX especially when it comes to functioning as a screen capture and recorder. With Snagit, you can effectivel enhance your images with notable effects. 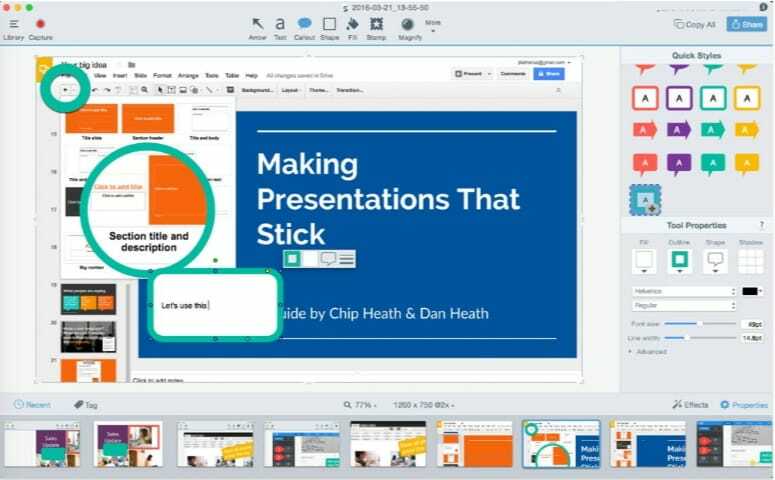 Snagit also offers ideal ways on how to create and then edit screenshots or even record videos to showcase complex process, provide comprehensive feedbacks and share imperative information with individual who needed it the most. This is more than just a snipping tool. With Snagit, you can edit and customize every screenshot with reliable and expert quality markup tools. You can trim parts of your recordings or you can convert videos into animate GIF. Another best alternative for ShareX is Filmora. This makes video editing simpler and allows users to create amazing videos. One of the best things about Filmora is that it has wide range of more powerful editing tools that users can use and take advantage of. Also the recording feature is free for any users. Filmora introduces two new ways of editing through action cam tools and instant cutter. Moreover, the delightfully intuitive and amazing designs of Filmora make it easy for individuals to create great videos. So if you are looking for best alternatives of ShareX, Snagit and Filmore are ideal choices you can take.